Politics • He says Utah lawmakers "blew up" his district in the redraw. Al Hartmann | Tribune File Photo Saratoga Springs Mayor Mia Love has filed her candidacy in the new 4th Congressional District. 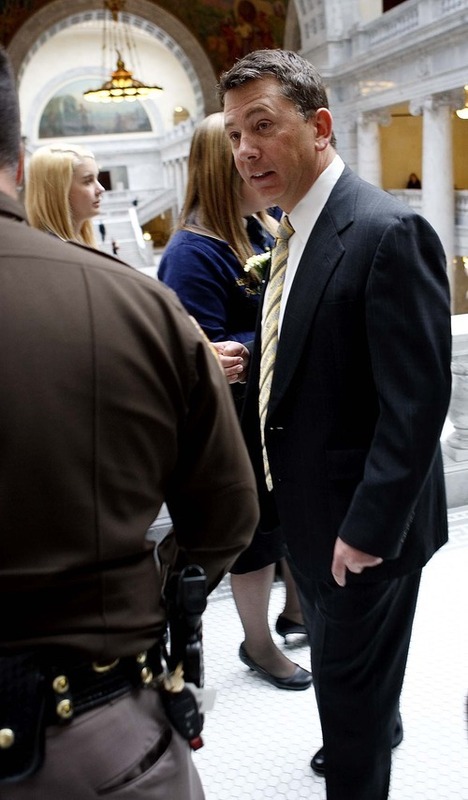 Leah Hogsten | Tribune file photo Rep. Jim Matheson, D-Utah TRENT NELSON | The Salt Lake Tribune Rep. Stephen Sandstrom, R-Orem, has received stepped-up security in the wake of threats against him and other lawmakers. Overheated rhetoric has been fueled by extremists on both sides of the immigration issue. The Utah Highway Patrol receives daily briefings on security concerns and intelligence and has investigations open. 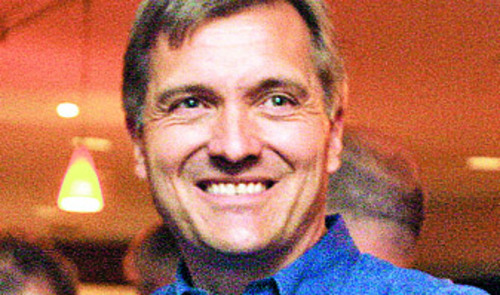 Trent Nelson | The Salt Lake Tribune Rep. Stephen Sandstrom Chris Detrick | Tribune file photo U.S. Rep. Jim Matheson Al Hartmann | Tribune File Photo Congressional candidate Carl Wimmer wasted no time in calling Rep. Jim Matheson a "carpet bagger" for jumping into the 4th Congressional District race. Wimmer says he looks forward to the race ahead. 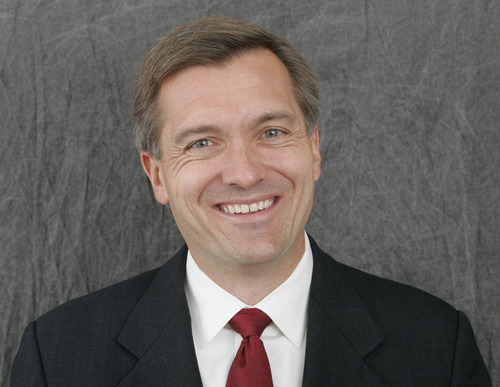 Tribune File Photo Rep. Jim Matheson, D-Utah, announced he will run in the newly created 4th Congressional District, rather than the 2nd District he has represented since 2001. 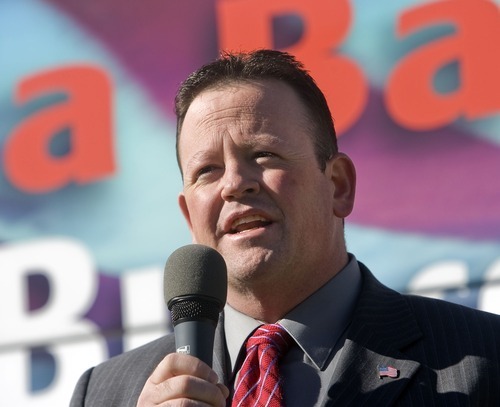 Al Hartmann | The Salt Lake Tribune Attorney Jay Cobb is among four Republicans seeking the nomination in the 4th Congressional District. Democratic Rep. Jim Matheson said Thursday he decided to run for Congress in the newly created 4th Congressional District after the Utah Legislature "took my current district and basically blew it up." His decision means he will be running in a district where he doesn't live, but one that is seen as more favorable to Democrats and contains large swaths of his current district. Matheson said that 85 percent of the new district is concentrated in Salt Lake County and consists of "areas I grew up in my whole life along the Wasatch Front, and I represented the majority of those communities in my career in Congress." Matheson had previously ruled out a challenge to Sen. Orrin Hatch but had been weighing whether to run for governor or seek re-election to Congress. Matheson, a member of the moderate Blue Dog caucus, said he had been leaning toward the 4th District for some time but only made his final decision last week. Ultimately, he said he opted not to run for governor because he thought a Congress in gridlock needed more independent members. "I'm at the point where I firmly believe that too many people in Washington are too focused on partisan bickering and trying to win the next election, and I think I'm a voice that is needed," he said. "I think I'm a voice of trying to make compromise and get things done." 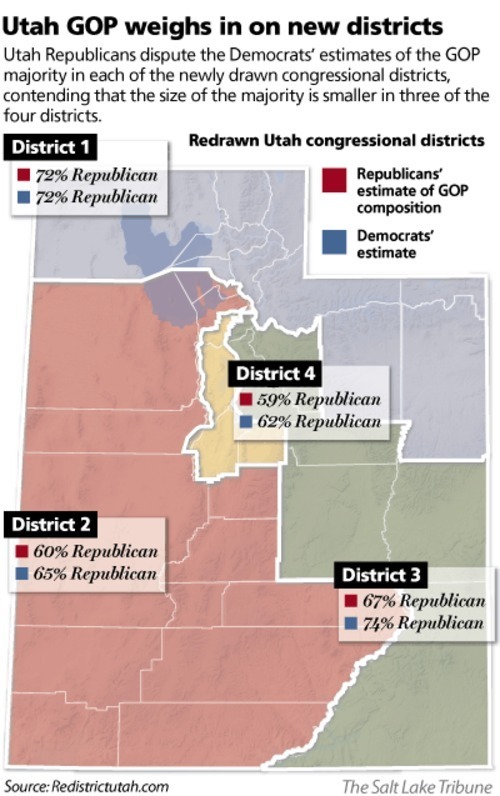 Matheson represents the Republican-leaning 2nd Congressional District, but the Utah Legislature redrew that district to include large new portions of the state, carve out traditional Matheson strongholds and skew even more heavily Republican. 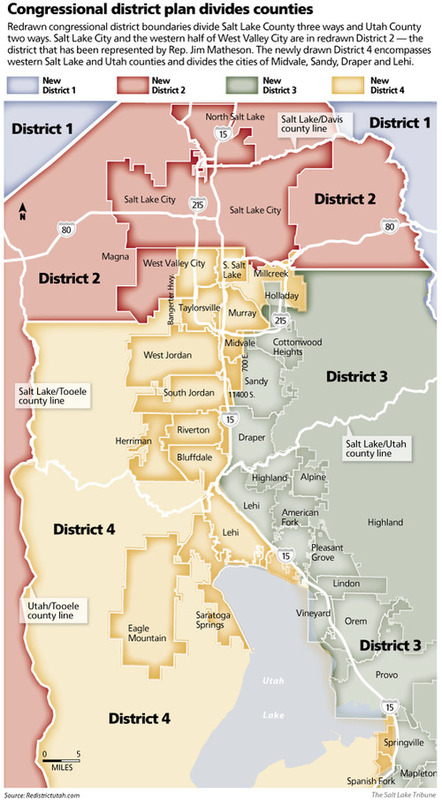 The 4th District is seen as more compact and includes Matheson strongholds in the southeastern part of Salt Lake County. 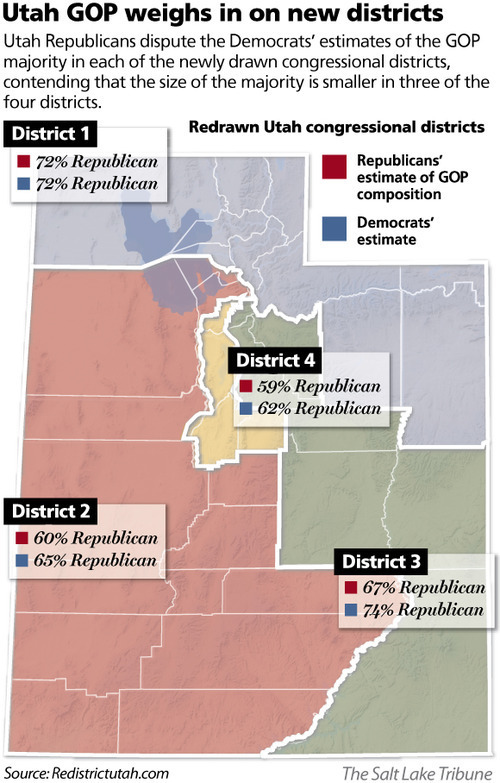 But it also includes a chunk of Utah County, which leans heavily Republican. 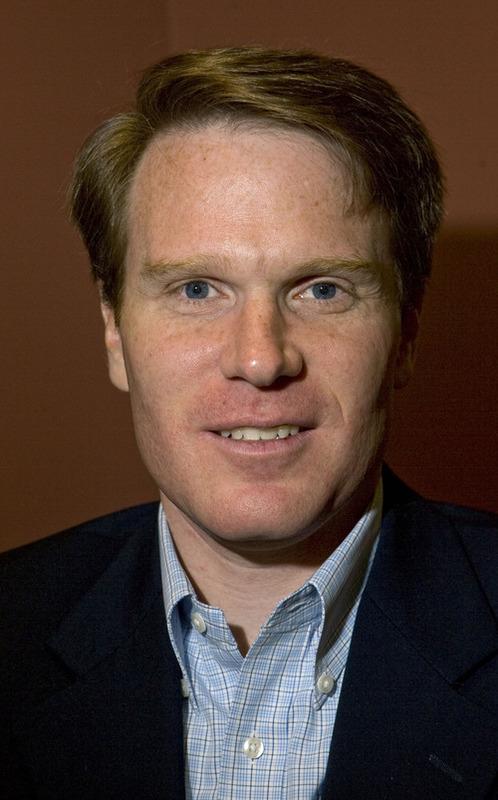 "The Legislature took my current district and basically blew it up," Matheson said. A Democratic analysis showed that 30 percent of Matheson's current constituents are in the 2nd District, while 39 percent are in the 3rd Congressional District ­­ represented by Rep. Jason Chaffetz  and 25 percent in the 4th District. Matheson said he believes he enters the race as a "real favorite" and that he doesn't see the need to move into the new district. "I live five miles from this district. My house is 300 miles from St. George," which is in the current 2nd District. "The Legislature ended up drawing some arbitrary lines, but the fact of the matter is that I know these communities very well." 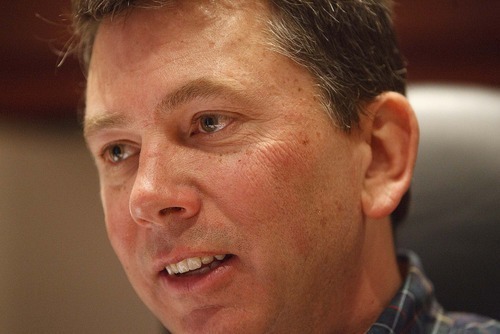 Four Republicans have already declared their candidacy for the 4th District: Reps. Carl Wimmer and Stephen Sandstrom; Saratoga Springs Mayor Mia Love; and attorney Jay Cobb. Minutes after Matheson's announcement, Wimmer threw the first shot of the race via Twitter: "Is 'Bail-out' Jim Matheson actually willing to carpet-bag in order to maintain power? I look forward to this race." Republicans have already begun targeting Matheson's support for President Barack Obama's stiumulus plan. Wimmer said he "would encourage him to actually move into the district and live where he represents, rather than doing whatever he possibly can to maintain control of power." A member of Congress is not required to live in the district represented, although that is somewhat unusual. Chaffetz does not live in the 3rd District he has represented for two terms, though that will change with the redistricting. "I think this is a game changer," said Sandstrom. "Now that he's decided to run in the 4th, it's going to give this race national attention. You're going to see a lot of national groups involved, because this is a seat we want to stay Republican, and Democrats will see that Matheson is the best shot they have of keeping at least one seat in Utah." Sandstrom, who lives in the 3rd District, said he game-planned various scenarios when he was deciding where to run. He thinks he has a strategy mapped out to beat Matheson and that he is the candidate in the field who can do it. He said the race will be a referendum on Obama's policies, and "Jim Matheson is part of that." Matheson said that if there's a referendum on the Obama record, it's in the presidential race. 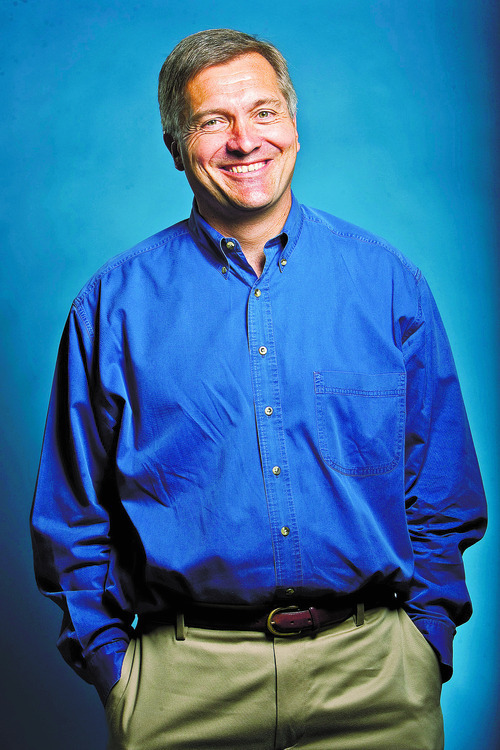 "I think voters don't look at things simplistically as just picking party labels in Utah. They look at the individuals," he said. "One thing I think Utahns know real clearly is that I'm not some party mouthpiece." Love said she welcomes the "east side resident" Matheson into the race. "I look forward to challenging Congressman Matheson on the issues and teaching him what's important to the voters in the 4th District  lower taxes, less spending and smaller government," she said. Jay Cobb said Matheson entering the race forces delegates to ask themselves which of the Republican candidates can win. "I think that helps me and if people get to know me they'll see how strong a candidate I am," he said. "Every time there are more candidates and more choices for people, it's good for the system." Matheson's decision means that Gov. Gary Herbert  already facing at least two Republican opponents  has dodged his strongest Democratic challenger. It also means that Matheson won't have to fend off a potential Democratic challenger in the minority party stronghold of Salt Lake City, all of which is in the newly drawn 2nd District. Matheson, who was first elected in 2000, narrowly survived his first re-election bid in 2002 following the last redistricting but built larger margins of victory over his next several elections. That changed last year, when Republican Morgan Philpot, riding a wave of conservative tea party opposition, came within five points of upsetting Matheson. He enters the race with more than $500,000 in the bank, a commanding fundraising edge over the other candidates. "If Matheson has made this choice, he has done the research to know how to do it," said University of Utah political science professor Thad Hall. "He clearly would have done the polling, the focus group and research. He's going to have a lot of money. He's going to know the issues really well. And he's going to have the benefit of likely running against a Republican who is going to be more a of a symbolic politician." Several Republican candidates had jumped into the 2nd District race in hopes of facing Matheson, but they said they plan to stay put, despite Thursday's announcement. "I'm firmly in the 2nd," said Cherilyn Eagar, a conservative activist who lives in the 3rd District. "Just like Matheson was a bad fit for the 2nd, he's a bad fit for the 4th and a bad fit for America. This is good news for us." Chris Stewart, a GOP candidate in the 2nd District, said in a statement that Matheson clearly made a decision to run in a district where he could win, and he was disappointed with the decision. "I come from a family that taught me that there is honor in public service and in the duty and importance of giving back to the community. Throughout my career in public service, I have gained valuable insight and inspiration from my interactions with Utahns in every corner of this state. "Most of us watched with disgust the political games played during the redistricting process. When the Utah Legislature completed its work, the congressional district I have had the privilege of representing no longer exists, and its citizens are spread among all four new districts. "But lines on a map never defined my approach to this job. From the beginning, it has been my priority to be an independent voice who puts Utah first. The world we live in and the world our children will inherit faces complicated issues. This is not the time for more partisanship or an all-or-nothing, narrow perspective that prevents progress. "I am excited to announce I will be running for re-election in the 4th Congressional District. The political boundaries of the district may be arbitrary, but the people, the communities and their priorities are real and well-known to me. "I have been honored to have the opportunity to work for communities such as Millcreek, Murray and Lehi, and I am as energized to continue our dialogue as I am to renew conversations in places such as Riverton, Kearns and West Jordan that I represented early in my career. The Wasatch Front, where I have lived my entire life, is a vibrant and growing area of our state, where families, neighborhoods and communities make Utah such a wonderful place to live, work and play. "I think there are great things to come for our communities and my family  my wife, Amy, and our sons, Will and Harris  to look forward to sharing these experiences with you."